Milling machines are very versatile. They are usually used to machine flat surfaces, but can also produce irregular surfaces. They can also be used to drill, bore, cut gears, and produce slots. 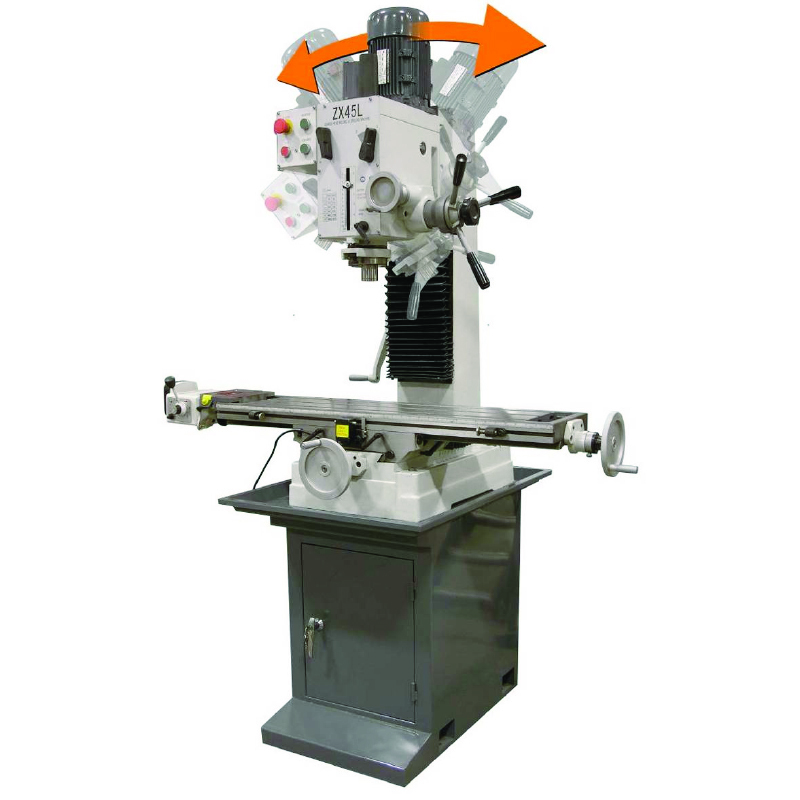 The type of milling machine most commonly found in shops is a vertical spindle machine with a swiveling head. These are called turret mills. 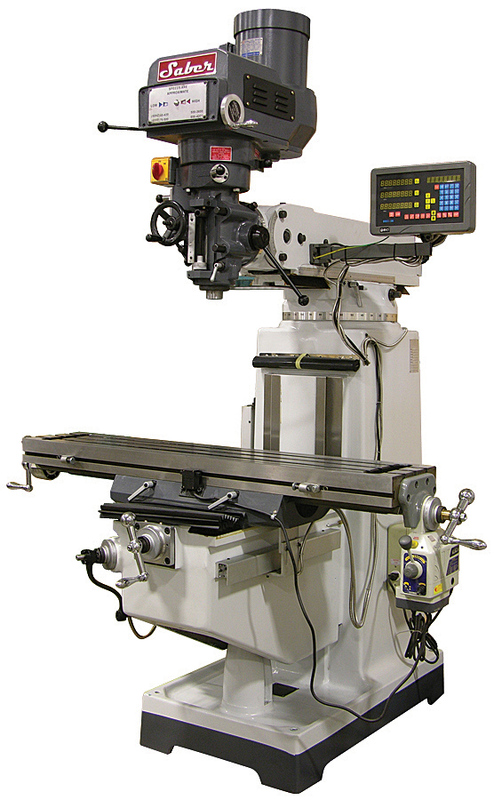 There are also horizontal mills that are great for removing larger masses of material and cutting keyways. 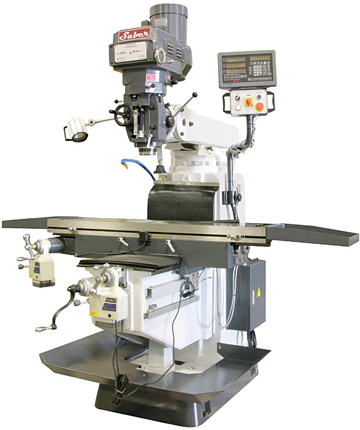 Milling machines are a very common machine that uses a powered spindle that turns an endmill which is plunged into the material then can be fed into a different direction. These machines have been around a very long time and do a function that no other machine can do.